You are here: Home / SEO / Is your Wordpress theme hurting your SEO? Recently, I was asked by two different people on my opinion about their theme and if it was hurting their SEO. 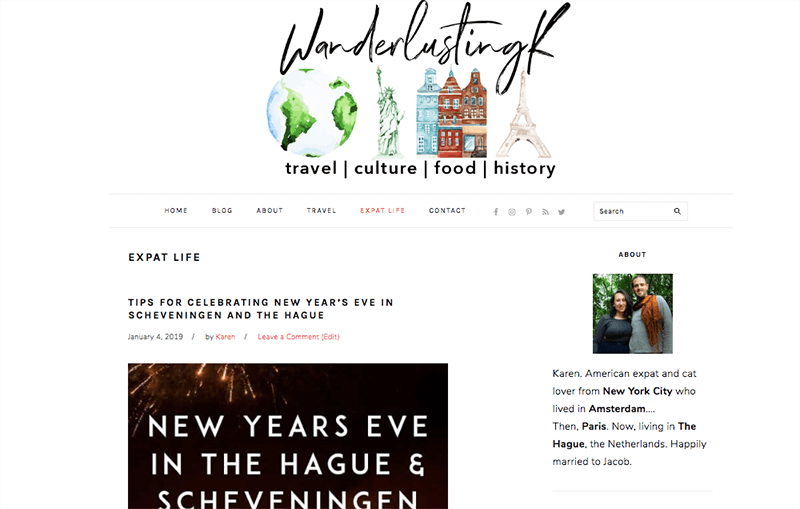 This post is focused on the impact of themes on SEO for WordPress where a good theme can help your SEO by improving website speed and help Google more easily read your website’s data. This seems really technical, but it’s simpler than you might imagine. I include links to some well-optimized themes in case you’re looking to upgrade at the bottom. Google and other search engines read our websites in a variety of ways. Structured data is a standard way of providing information to make it easier for Google to read our websites, which can, in turn, help your rankings. For instance, if you publish recipes on your website, you will want to ensure that you have a plug-in that formats your recipe in a Recipe structured format to make it easy for Google to index your data. This is also the case if you have a webshop and want to add reviews. Reviews are structured input. The most recent version (at the time of writing) using JSON structured data snippets to help Google more easily find your contact information, which can help with the EAT algorithm. 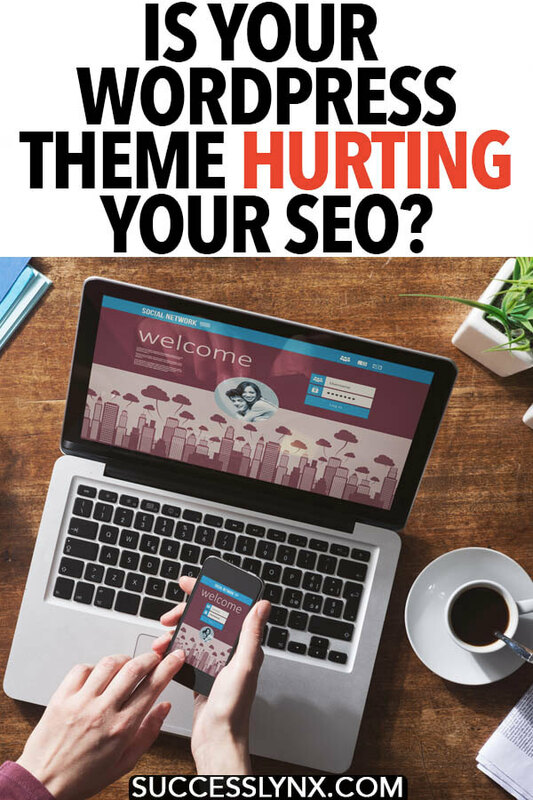 Is your theme holding you back SEO-wise? I recommend running your website through Google’s Structured Data Tool to see what you see. If you see only hcard or hatom, your theme might be holding you back. For instance, Divi is a very popular theme. I’ve used Divi to build this website, however, I’ve meant to update it for a while now. I’m showing my own metadata from Success Lynx (pre-update) above. Only seeing hentry data is not good and I fully intend to update my WordPress theme in the coming month. Let me show you the data from another theme (Foodie Pro) from another website of mine. This is a more expensive theme that is built on the Genesis platform. (It cost ~$129.) You can see below how there’s a lot more structured data here, which enables Google to more easily index this website. It includes a slot for information about the organization behind the website, which can help with Google’s EAT update from 2018. Beyond structured data, your theme might be holding you back SEO-wise if it’s slow. I had used Divi for a long time, but I was told (and saw for myself) that the wonderful drag-and-drop functionalities associated with it added weight to the loading speed. Since, I’ve moved to a theme by Studiopress, which I’ve been happy with. It’s cut my theme loading speed in half. One issue that you might encounter with an older theme is that your pins on Pinterest might not come onto Pinterest correctly as rich pins. This is subtle, but rich pins provide so much context and can significant improve click-throughs from Pinterest, a valuable source of traffic. If you’re on a tight budget and you have structured data (products, reviews, recipes, articles) that don’t seem to be pulled into Google search well. (This might go over your head if you’re not techy or avoid the back-end of your website.) You can check in Google Search Console -> Enhancements -> Recipes to see how Google is reading your structured data if you have recipes. Depending on what kind of structured data you have, you might want to look for a plug-in that properly formates recipes, articles, products, or reviews. It may not fix the larger issues with your theme being outdated and I don’t recommend digging on the back-end unless you’re hiring an expert. I am now a big fan of the Studiopress themes, which are built for speed and SEO optimization. There are certainly cheaper and free themes out there, but you should test their structured data capabilities before commititng! I personally use the Foodie Pro theme although the Refined Theme is a favorite of mine for those seeking a nice homepage. Restored316, Feast Designs, Coded Creative Themes, Anchored Designs, Pretty Darn Cute, and Hello You Designs all produce beautiful optimized themes with structured data for about a hundred (or so) including the purchase of the Genesis Framework. Don’t dismiss how your website looks on mobile. Increasingly, people search for things on mobile and you want the experience of the mobile user to be as good as possible. Be sure to test your theme’s live demo on your phone before buying it! Another consideration that I recommend considering is whether your theme is image heavy. Although it’s lovely having a million images showing your brand on top, it can weigh down your website. Focus on ensuring that your website loads as fast as possible when choosing a theme and try to minimize flashy features that add little to the user experience. Do you think that your theme is holding you back?